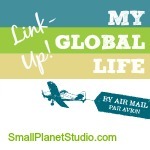 I tend to read a whole host of websites and blogs around the world on a wide range of topics: news, expat life, global issues, international development, writing, marketing, business and more. I also operate in a number of social media venues. Well, I woke up today and found tweets, messages and no fewer than four blogs talking about the Girl Effect. The one that really caught my attention was from John at ProductiveWriters.com. It’s all part of a worldwide campaign to raise awareness and action to improve the quality of life of many by focusing on helping young girls. It seems GirlEffect.org was created by the Nike Foundation to understand and leverage the ripple effect of investing in young girls throughout the world to help stimulate economic growth and improve health and wellbeing throughout their communities. The focus on girls is deliberate. Not because they are anti-boy or anti-male, but because most girls grow up to become mothers, raise children and have a strong impact on their families’ current and future quality of life. There are more than 600 million girls aged 10-24 in the world. In many places, they face a crossroads when they are still quite young: we’re talking pre- and early teens here. Due to economic, cultural, social or religious pressures, they are diverted from their studies into early (and often forced) marriage. That’s if they even attended school to begin with. An illiterate young girl forced into marriage is isolated; the doors to choice slam shut. The earlier a girl enters into marriage or a relationship, the earlier she is likely to give birth, with higher incidences of health problems and risks of HIV/AIDS for herself and her child. And the cycle begins. What I like about the Girl Effect is that efforts are taking place all over the world, in developed countries as well as in the Third World. The following video is a short but powerful reminder of the negative impacts the lack of education can have, not only on the lives of these young girls themselves, but also on their families and communities. Did you know that a quarter of the girls in the developing world don’t attend any school at all? Yet if a girl finishes just seven years (seven!) of education, she is likely to marry four years later and have 2.2 fewer children than a girl receiving no formal education at all. And for every year of primary school-level education, a girl is apt to earn at least 10-20% more in wages when she does begin working. That percentage grows considerably if the girl can get to secondary school. If you’re interested in learning more, GirlEffect.org has developed this fact sheet and better still, this Global Investment and Action Agenda. And there’s a lot more information under their policy and media sections. The bottom line is this: education, for boys AND girls, provides choices, and helps to strengthen not only the individuals, but the families and communities in which they live. So go ahead. Be the pebble that starts the ripple effect. So true. But what I like is that while much of the focus is on the developing world, they are also including the developed world as well. Some forced marriages are occurring there too, and there certainly are still too many young girls (married or not) getting pregnant when education and a way ahead is what they really need. I’m afraid that my comment could turn into a blogpost of my own! Thank you for sharing this site (GirlEffect.org), and for sharing your views on Girl Effect. A strong education is vital for everyone. Boys and girls (or Girls and boys) should all receive the same attention and direction. Education is not a gender-thing; it’s a knowledge-thing!!! Look for a post from me around the end of November – it will tie in well with your post today. I’m fortunate to be able to attend a seminar on learning issues, and why girls are often overlooked or misdiagnosed, until it’s too late. Absolutely LOVE your last sentence!! Would you mind if I used that as a quote, all the while giving you credit for it? Carol, I was actually thinking of you after I wrote the post, and thought ‘I hope she decides to post on GirlEffect’! I’m glad you were as inspired as I was. And of course you may use the quote. When I get buzzed about a particular topic I tend to write about it, and after getting on my soapbox a feew times I finally created a post category called ‘Doing What I Can to Help’. Writing articles, blogging and sharing through social media (Twitter, FB etc.) helps spread the word. The learning issues seminar sounds as though it will inspire you with lots of ideas, and I can’t wait to read the post you’ve got in mind! This is a brilliant initiative. Despite a fairly enlightened approach to education (girls get educated alongside boys) here in developing-world Jamaica, somehow the girls fall behind by the time they are 20 – their horizons shrink dramatically. The social pressures to have babies/get locked into an unequal and often unpleasant relationship etc just seem overwhelming. They end up being the sole head of a household of kids with little or no support. Unemployment among women is higher, and they are almost in the same situation as an Afghan or Saudi woman who has never been treated as an equal educationally. It’s sad. Thanks Emma. It IS sad, because at 20 (30, 40, indeed ever since) I’ve felt that the world was full of all sorts of possibilities if I grabbed opportunities and made the most of them. Twenty is a sad time to feel closed off. Sixteen is worse, and 12 is hard to imagine. The majority of focus is on the developing world, as it should be, but I like that they work to improve developed countries, too. so glad to be following your blog and to learn more about you! I haven’t been subscribing for a long time but it’s not hard to see how you really care about social justice and development issues. And I think it’s great that you are blogging about a lot of different topics that moved you, not just about life as an expat. In the end the most enjoyable piece to read is the one that was written with passion, and not confined to or dictated by a certain main theme. You nailed it! Look forward to read more posts from you! Thanks so much Chrysant, I appreciate your kind words. I’ve been following you on Twitter for quite some time, and enjoy your work (especially supporting volunteerism as a way to mark September 11th anniversaries). 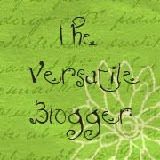 Actually, I’ve never felt confined or dictated to by my blog title/theme, mainly because I don’t think in those terms. There are loads of posts that aren’t about living cross-culturally. I share my views and feelings about life and interacting with the world around us. Great post… and so true! Thank you for spreading the word. If anyone is interested in getting involved in an organization that’s making a huge difference in the education of girls in the developing world I highly recommend an organization called Room to Read. I’ve been involved as a volunteer for several years (was one of the founding members of the Dubai chapter). They provide girls with scholarships, publish local language children’s books and build schools and libraries (making a difference in the lives of thousands of children). Thanks Anne, I took a look at their site and it looks like a phenomenal organization: http://www.roomtoread.org/ I love that the slogan is ‘world change starts with educated children’! It must have been very gratifying to be involved with such an instrument of change. Appreciate your kind words. Yet another Godincident for you, I read this just after helping my 16 year old fill in an application to go on a service trip to Nepal with her youth group this spring break. She was focussing on the high illiteracy rates there and sharing her hopes to make a difference in helping children learn to read while she is there, how she wants to be a teacher to help others and would like to do this amongst our poorest people. Girl power in our global nomads harnessed internationally love it.